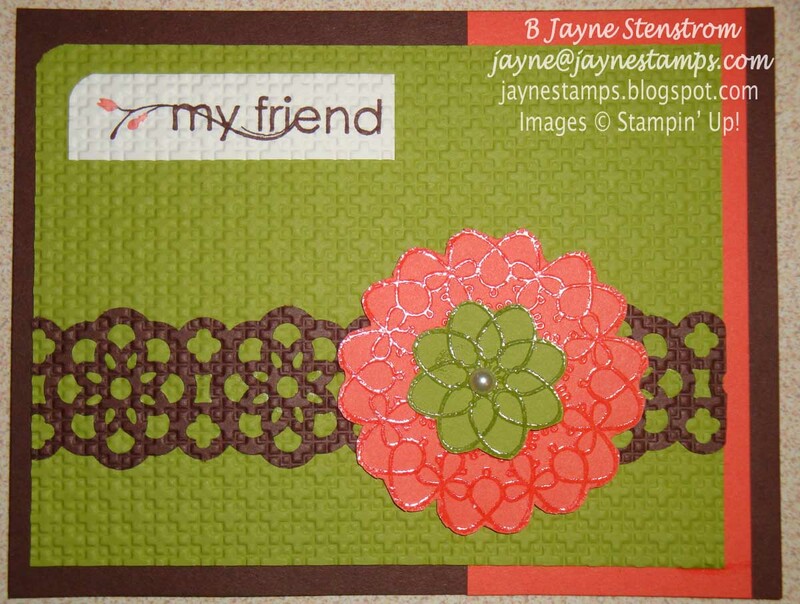 Tick-tock, you only have about two weeks left to order your items from Stampin' Up! 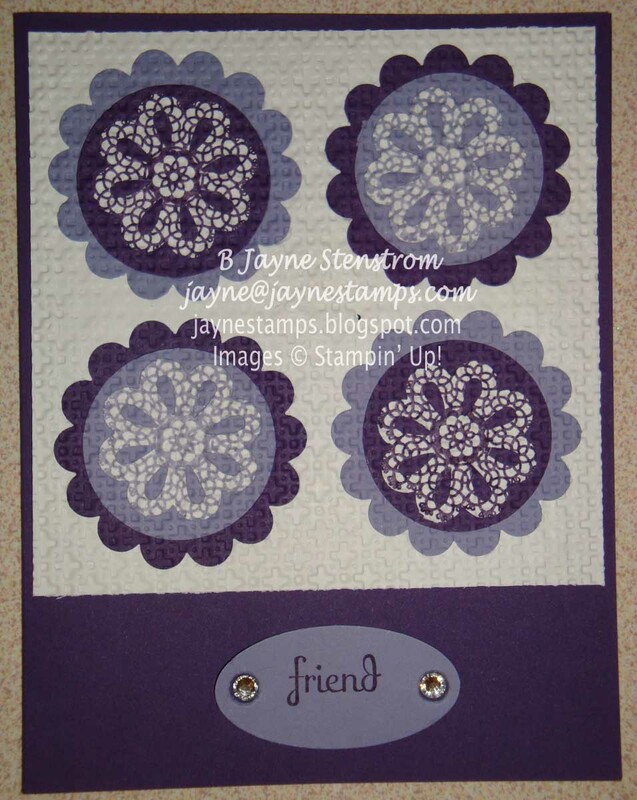 's retiring stamps and accessories. Don't wait until it's too late! 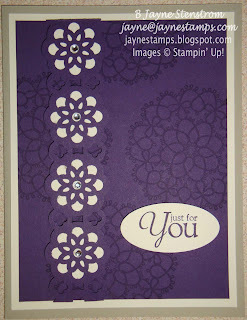 Today I have some card samples that use a few of this year's Stampin' Up! retiring punches. 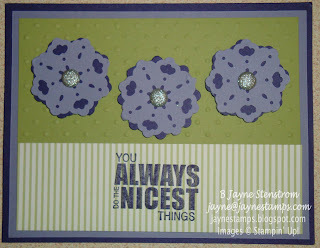 Punches are such a wonderful accessory! You can use them again and again, and in so many different ways! I usually keep my retired punches for use in my scrapbooking or other projects. These first cards showcase the Doily Triple Layer punch. These unique layering punches let you punch THREE punch images in just one punch! 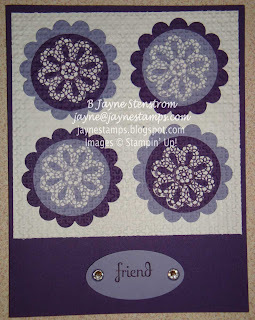 Next is another triple layer punch - the Blossom Bouquet Triple Layer. I LOVE this punch and have used it so much! 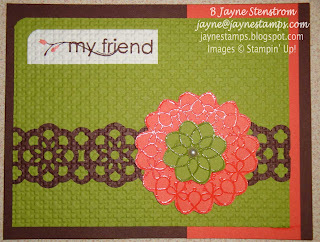 And the last samples for today use the Lace Ribbon Border punch. 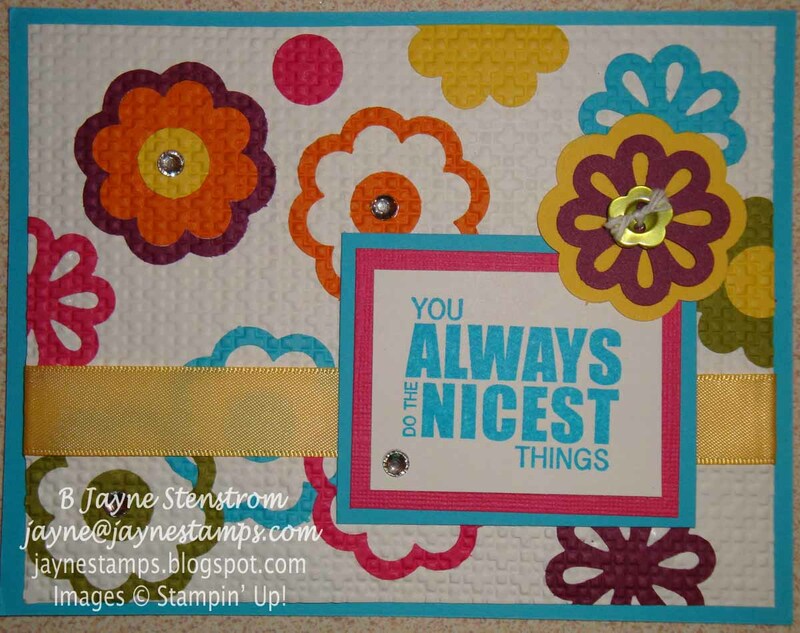 These punches are exclusive to Stampin' Up!, so when they retire the end of the month, you won't be able to find them anyplace else. So order yours today while they are still available! (I checked the availability before I posted this, and you can still get them as of right now.) Don't wait -- I don't want you to be sad and miss out on these great punches. Jayne, what great samples! I'm most sad about the triple layer blossom punch retiring, that was my favourite! However, plenty more punches to purchase and play with in the new book ~ yay!